(see Gavin Bryars' notes about The Sinking of the Titanic and Jesus' Blood Never Failed Me Yet also see Discography ). He has composed prolifically for the theatre and dance as well as for the concert hall and has written four full-length operas. His first opera, Medea was first staged by the director Robert Wilson at the Opéra de Lyon and Opéra de Paris in 1984. Following the success of the original production, a revised version was given in concert in 1995 by the BBC Scottish Symphony Orchestra. His second opera, Doctor Ox's Experiment (based on a story by Jules Vernes and with a libretto by Blake Morrison) was staged by the Canadian film director Atom Egoyan for English National Opera in 1998. A separate production of Doctor Ox's Experiment appeared in 1999 in Dortmund, Germany. The third opera, "G" (libretto again by Blake Morrison), was commissioned by Mainz Opera and was premiered in February 2002, staged by Georges Delnon, in the newly refurbished Mainz Opera House. (see Gavin Bryars' notes about Medea and Doctor Ox's Experiment; also see notes about the third opera, G). His fourth opera, a chamber opera called Marilyn Forever based on Marilyn Monro, with libretto by Canadian writer Marilyn Bowering, was first performed in Victoria BC directed by Joel Ivany and featuring the Faroese singer Eivør Palsdottir in September 2013. There have been subsequent performances at the Adelaide Festival (February-March 2015) and a different production in March 2015 with Long Beach Opera, California, directed by Andreas Mitisek. He is now working on a chamber opera based on Michael Ondaatje's The Collected Works of Billy the Kid, with director Jean Lacorrnerie in Lyon for the Theatre de la Croix-Rousse and the Theatre de la Renaissance. Among Gavin Bryars' other works are three string quartets and a great deal of chamber music, much of it for his own ensemble. He wrote a series of vocal works for The Hilliard Ensemble including Glorious Hill(1988), Incipit Vita Nova (1989), Cadman Requiem (1989, revised 1998) and The First Book of Madrigals (1998-2000) and since that time vocal music has been a major preoccupation (see Vocal Music). His background in the visual arts has resulted in works for the opening of the Tate Gallery in Liverpool (1988); an installation in the Chateau d'Oiron, Poitiers, commissioned by the French Ministry of Culture (1993) a work for the Tate Gallery St Ives (1997), an a project for the Valencia Architecture Biennale (2002) with Will Alsop. Other commissions include works for Charlie Haden (1987), John Harle (1991), Nexus (1994), Lawrence Cherney (1994), Fretwork (1995), Maggie Cole (1995), Julian Lloyd Webber (1995), Valdine Anderson (1995/6) Holly Cole (1998), Orlando Consort (2000) Ensemble Tozai (2001), Trio Mediaeval Sextet (Second Book of Madrigals 2002), Red Byrd (2004), Iarla O'Lionaird (2006), Ralph van Raat (2010). 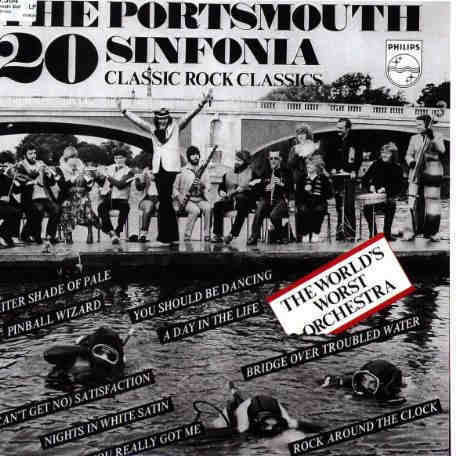 Orchestral commissions include Bournemouth Sinfonietta (The Green Ray, 1991), BBC Symphony Orchestra (The War in Heaven, 1993), Primavera Chamber Orchestra (The Porazzi Fragment, 1999, Violin Concerto 2000), Double Bass Concerto ("Farewell to St. Petersburg") for Duncan McTier (2002), London Sinfonietta (2004). 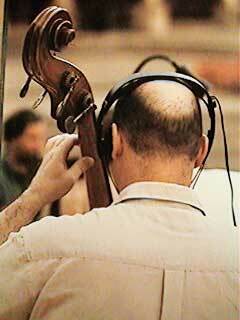 Gavin Bryars was the solo bassist in By the Vaar with the CBC Vancouver Orchestra at the Vancouver Jazz Festival in June 2002 a programme subsequently recorded for CBC Records and reissued on GB Records. He has written a Third Book of Madrigals (2003-5) for Red Byrd, a Fourth Book (of eight-part madrigals) and a Fifth Book, from commissions from the Villa I Tatti for Singer Pur. Five madrigals from the Sixth Book, written for the Australian group The Song Company, were premiered in Adelaide in 2015. Many of his "Laude" based on a 12th century manuscript collection, 46 to date, feature the Swedish soprano Anna Maria Friman – some with additional voices (Trio Mediaeval, John Potter) – and there are some for choir. Other vocal works include Eight Irish Madrigals (2004) and Nine Irish Madrigals (2006-7), for Anna Maria Friman and tenor John Potter, who are also members of his ensemble and From Egil's Saga (2004) for the Faroese bass Rúni Brattaberg. His work in the Faroes developed further with Trondúr I Gøtu, for Rúni and Eivør Palsdottir. His close connection with the Faroe Islands has led to these works being recorded for release on GB Records in 2013. Since 2003 he has worked closely with the Latvian Radio Choir (see Discography) and since 2006 with the Estonian National Male Choir (RAM). (see The Complete Lists of Works). Since 2014he has worked on choral music in America with The Crossing. He has written three "songbooks", the first setting the poetry of Etel Adnan, the second setting Blake Morrison and the third, setting the poetry (both English and French) of Samuel Beckett written for the Samuel Beckett Happy Days Festival, performed by his ensemble with his daughter Orlanda Bryars and counter tenor James Cave. Since 2006 he has collaborated with Opera North Projects, initially with the Royal Shakespeare Company (RSC) on Shakespeare sonnets Nothing like the Sun (2007) and subsequently on Mercy and Grand (2007-8) – a project on the songs of Tom Waits and Kathleen Brennan. In 2017 he is working with Opera North Projects on Winestead , related to thesmall church in East Yorkshire where Andrew Marvell's father was vicar. Since 2006 he has worked with the Irish singer Iarla O'Lionaird on settings of eary Gaelic texts. Gavin Bryars has a particular association with dance and the visual arts: choreographers who have used his work and commissioned new pieces from him include William Forsythe, Lucinda Childs, Carolyn Carlson, Maguy Marin, Jiri Kylian, Siobhan Davies, Edouard Lock and David Dawson. His hugely successful collaboration with Merce Cunningham, Biped, was in the Cunningham Company's repertoire and played world-wide - Biped was the last work performed on the Cunningham "Legacy Tour", which ended the life of the company in December 2011. He collaborated with Carolyn Carlson on the work Writing on Water and on her Giotto Solo and has been commisisoned by Bordeaux Opera Ballet for a new work with her in 2014. His second work with Edouard Lock and La La La Human Steps, Amjad (2007) toured worldwide until April 2009, was recorded on GB Records. "New Work" for Edouard Lock, based on the music of Purcell and Gluck, opened in Amsterdam in January 2011 and subsequentluy toured worldwide. He has since written music for two further ballets with Edouard Lock - The Seasons (after Vivaldi) for Sao Paolo, and 11th Floor (after "film noir" music) for Cullberg Ballet in Sweden. 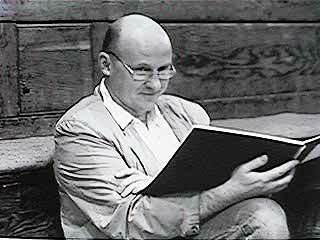 Among Gavin Bryars' numerous recordings are "Three Viennese Dancers", "After The Requiem", The Black River and "Vita Nova" on ECM New Series, "The Last Days" on Argo (1995), and "Jesus' Blood Never Failed Me Yet" (1993), "The Sinking of the Titanic" (1994), "Farewell to Philosophy" (1996), "A Man in a Room Gambling" (1997) and "Cadman Requiem" (1998) on Point Music. In 2000 he started his own label GB Records with an initial release of Biped. This was followed with a number of other albums: Lockerbie Memorial Concert (2003), A Man in a Room, Gambling (2003), Oi me lasso (2005), On Photography (2005), A Listening Room (2005), Glorious Hill(2007), Silva Caledonia (2008), Amjad (2008), Season of Mists (2008), I have heard it said that a spirit enters (2010) - being a remastered re-release of an album recorded for CBC Records in 2002 - Live at Punkt (2010), I send you this Cadmium Red (2010), Al Suon dell'acque scriva (2010), New York (2010). Mercy and Grand, an album of Tom Waits songs (2012). The War in Heaven, Music from the Faroe Islands and a live album of The Sinking of the Titanic were released in 2014. In 2016 he released remastered versions of Obscure 1 (Jesus' Blood, Titanic) and Obscure 2 (Ensemble pieces, with Christopher Hobbs) as well as two albums from Adelaide (one with Adelaide Symphony Orchestra, another being a live recoding of Nothing like the Sun) as well as his I Tatti madrigals with Singer Pur. GB Records albums are distributed in UK/Ireland by Proper Note, in Europe and North America and for export to other countries through Challenge International. Black Box released a recording of his three string quartets (2002). Universal released a double CD of music recorded for Decca and Philips from the last ten years to coincide with his 60th birthday in January 2003. There are new recordings of his early works on Mute Records and LTM and a live recording of The Sinking of the Titanic on Touch. (see Discography). A recording of his piano music, including a piano concerto, performed by Ralph van Raat, was released by Naxos in February 2011. An album of choral music with The Crossing The Fifth Century was released on ECM Records in 2016. In 2016 he also did a project with Blake Morrison and the GB Ensemble for the Yorkshire Festival, with Sonic Journeys. For The Stopping Train downloaded audio is be played (on headphones) for the whole journey between his home town, Goole, and Hull in both directions. 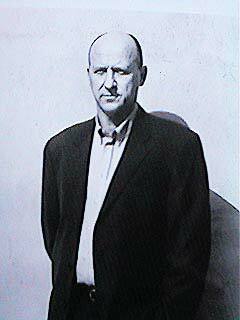 The Gavin Bryars Ensemble, founded in 1981, performs internationally, including appearances in France, Italy, Spain, Portugal, Norway, Finland, Latvia, Estonia, Lithuania, Hungary, Czeck Republic, Belgium, Germany, Holland, Mexico, Norway, Austria, Japan and Australia, as well as giving occasional concerts in UK. (see Ensemble). In 2012 an enlarged ensemble (with guest Philip Jeck, and a quartet of low strings consisting of his four children) performed a special centenary version of The Sinking of the Titanic. 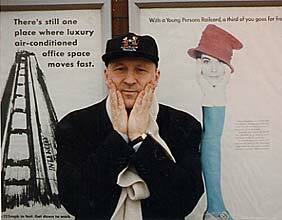 Gavin Bryars has lectured widely and was Associate Research Fellow at Dartington College of Arts from 2004-2008. He has an honorary doctorate from the University of Plymouth, he was awarded a Fellowship of Bath Spa University., and was awarded an honorary fellowship by Birmingham Conservatoire. He is a Regent of the Collège de 'Pataphysique, was awarded the Ordre de la Grande Gidouille, and has been made a Transcendent Satrap, the most elevated position in the Collège. Gavin Bryars is married to Russian-born film director Anna Tchernakova, has three daughters (two from his previous marriage) and a son. He lives in England and British Columbia, Canada.